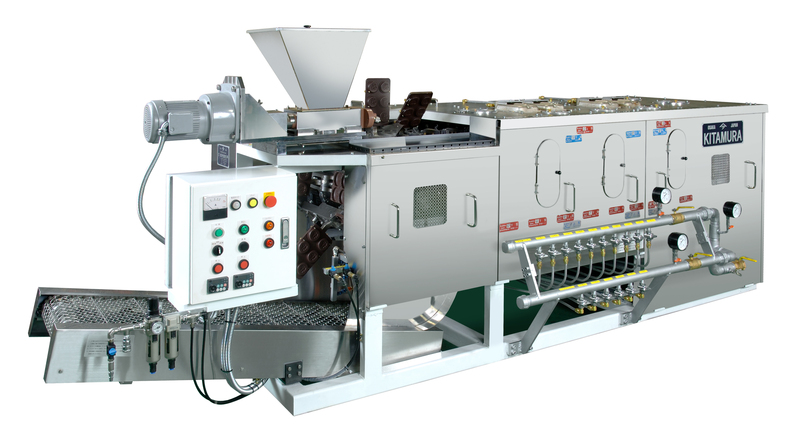 This is a mass production machine for Monaka shells. The user can easily adjust the amount of rice cake used. 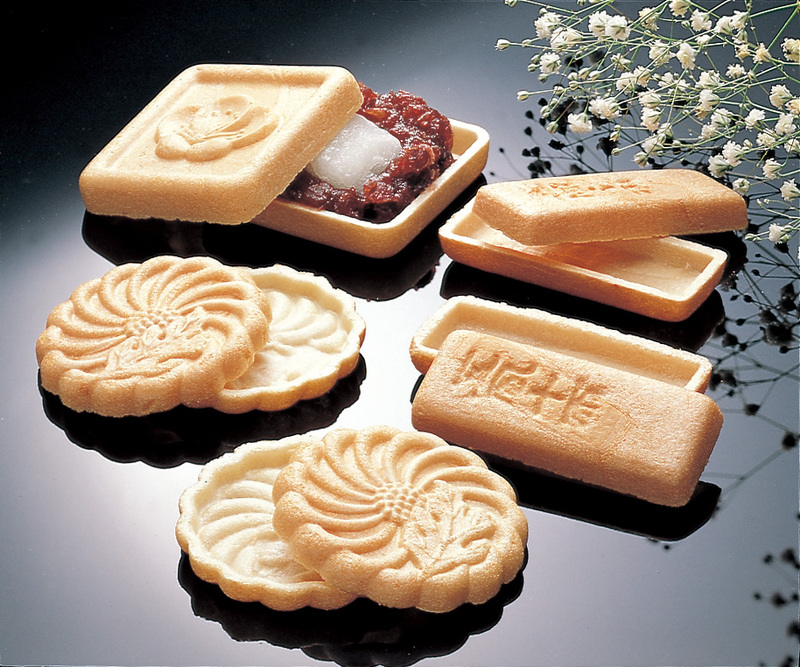 Also, the machine has a special screw for dealing with hard rice cake, and it can bake various types of Monaka shells.